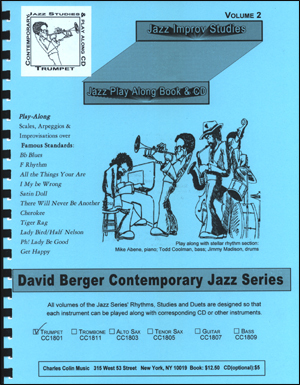 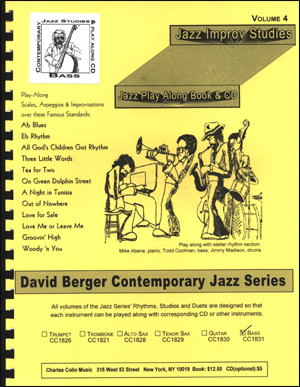 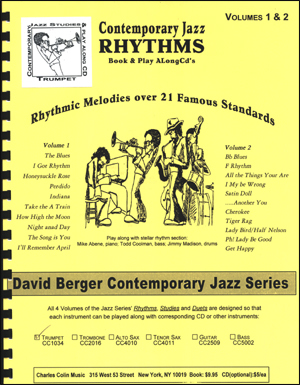 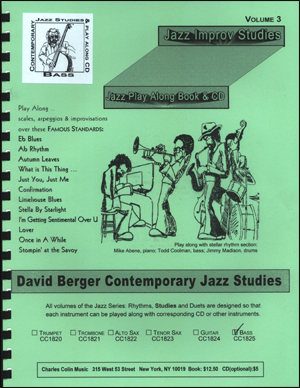 David Berger's Jazz Studies play-alongs are designed so that each instrument can be played along with the corresponding CD or other instrumentalists. 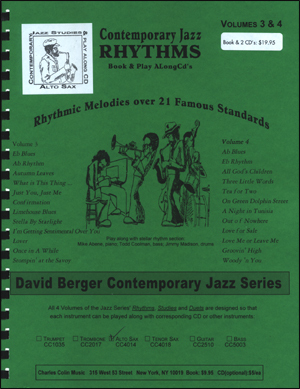 CD rhythm section: Mike Abene, piano; Todd Coolman, bass; Jimmy Madison, drums. 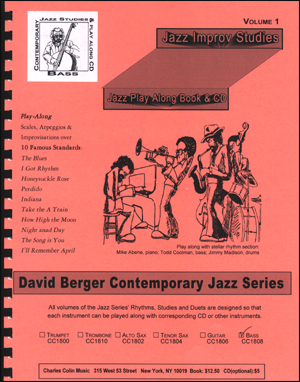 Includes Play-Along scales, arpeggios & improvisations over 10 famous standards.